This week’s events differ from previous protests. Where previous street protests have signaled great discontent with Maduro, they have not directly challenged his control over the military. But Venezuelan activist attempts to bring U.S. aid across the border would force Maduro to decide whether to blink and allow the aid to enter, or order action to constrain it. Maduro’s rival, interim president Juan Guaido, is hoping that Maduro will blink. 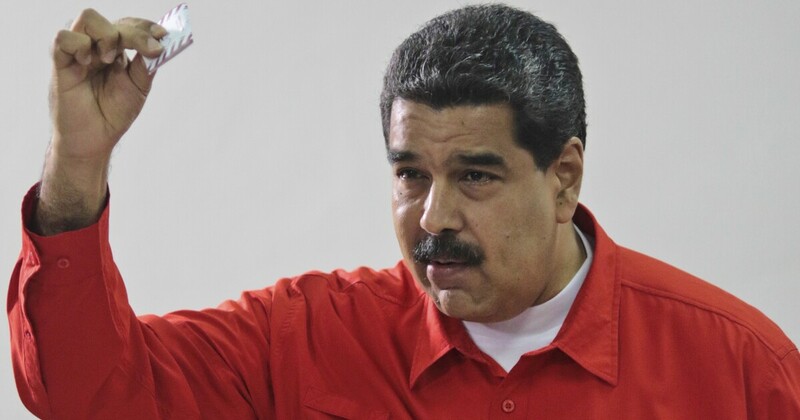 Both he and Maduro know that the U.S. has warned that any action against U.S. personnel, some of whom will be supporting the aid convoys, or against Guaido himself are red lines. The implication is that any Maduro attack on the aid convoys will result in a military showdown with the U.S. that Maduro is sure to lose. Guaido also hopes that Venezuelan midranking officers at the battalion or brigade level will refuse Maduro’s order and then unify against him. And if Guaido wins over the colonels, he pulls the rug out from under Maduro’s generals and forces the despot’s fall. The Trump administration must continue to support aid deliveries to innocent civilians who desperately need it. It must continue to warn that any harm against Guaido or U.S. diplomats will result in extreme reprisals. And it must keep up the pressure on Cuba, making clear that Havana’s continued support for despotism will lead to steadily escalating U.S. pressure.